On April 17-18, 2009, the University of Mary Washington hosted the Spring 2009 MD-DC-VA Section Meeting of the MAA. Mike May from St. Louis University delivered the workshop. The banquet address was given by Bob Vallin of Slippery Rock University. We also had two invited addresses, William Goldman from the University of Maryland and Katherine Socha from St. Mary’s College of Maryland. Congratulations to Lawrence Washington of the University of Maryland-College Park, the 2009 recipient of the John Smith Award for Distinguished College or University Teaching. Abstract: GeoGebra is an easy to use, free, open source, cross platform, program that allows the user to visualize and experiment with both algebraic and geometric representations of mathematical concepts. Constructions can optionally be saved as applets that can be used in any java enabled browser. Sample applets can be found at http://www.slu.edu/classes/maymk/GeoGebra/. The minicourse assumes only novice computer skills and covers an introduction to GeoGebra up through deploying applets in web pages. We will work through creating several activities to illustrate features of the program and to get participants to create their own activities. Biographical Sketch: Mike May, S.J. received his BA from Saint Louis University and his Ph.D. in ring theory from the University of California, Berkeley. 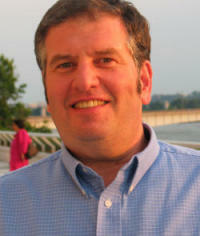 He has been a faculty member at Saint Louis University since 1993. Dr. May has done extensive work on using a variety of technologies as tools in teaching mathematics. He has made extensive use of the computer algebra package Maple, making a number of presentations on using Maple at regional and national meetings and has co-presented three online PREP workshops on using Maple in teaching mathematics. He has also made extensive use of applets in teaching in a variety of classes. 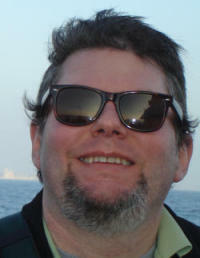 Since 2000 he has used a number of technologies to produce over 100 applets that are available at the website http://www.slu.edu/classes/maymk. 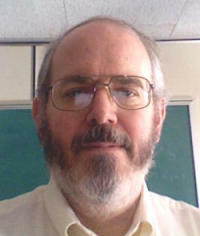 He has made a number of presentations on using these applets at regional or national meetings and has given workshops on constructing applets at the project NExT workshop at Mathfest 2008, the International Conference on Technology in Collegiate Mathematics (ICTCM), and the 2009 JMM. Abstract: A little over two years ago, I responded to an advertisement the MAA posted for a position they were creating. At the time, it was so new it didn’t even have a name. Lo and behold, I got the job and it has been quite a learning experience. My goal in this talk is to share some of what I’ve learned and what I’ve done: the big, the small, and the weird. At the end of the talk, hopefully everyone will come away with something they didn’t know. Biographical Sketch: Robert W. Vallin holds two jobs. He is currently the Associate Director for Student Programs for the Mathematical Association of America and a faculty member at Slippery Rock University in Pennsylvania. A great proponent of student activities, he has for many years been involved in student research and in student programs for the Allegheny Mountain Section of the MAA. For the Section he served four years as Puzzle Czar and six years as Coordinator of Student Programs. A real analyst by training, he has written research papers in analysis, topology, and fractal geometry, along with several articles in both MAA FOCUS and Math Horizons. He likes to spend his spare time with his children and admits he would not mind growing up to be Batman. Abstract: Mathematics meets mixology! During Spring 2008, New York City mixologists made a social splash with a super-secret strategy for congealing Cointreau into small spheres, called Cointreau caviar. Media coverage of this advance in gastronomic technology encouraged the speaker to consider how mathematical tools from a standard course in ordinary differential equations might be used to model the behavior of such spheres. 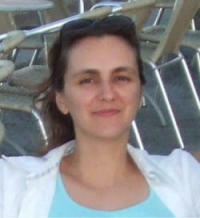 Biographical Sketch: Katherine Socha is an assistant professor of mathematics at St. Mary's College of Maryland. She received her B.A. from Reed College, her M.S. from Portland State University, and her Ph.D. from The University of Texas at Austin in 2002. She is a winner of the 2008 Henry L. Alder Award for distinguished teaching and of the Lester R. Ford Award for an article of expository excellence in the American Mathematical Monthly. Dr. Socha is committed to improving access to higher education and, particularly, to mathematics for all students. Her two favorite mathematical shapes are the circle and the icosahedron. The sphere runs a close third. Abstract: The nineteenth century evidenced a profusion of "classical geometries", such as Euclidean, projective, conformal and non-Euclidean geometry. In Felix Klein's Erlangen Program 1872, these geometries (and many more) were united through the concept of symmetry. In modern terms, classical geometries identify with homogeneous spaces of Lie groups, and are classified using the theory initiated by Sophus Lie. Consequently the basic properties of classical geometries are special cases of algebraic constructions. In this talk I will describe this algebraicization in a special case, also begun in the nineteenth century. Namely, 2x2 complex matrices have a beautiful invariant theory which relates (in fact, is equivalent to) non-Euclidean geometries and projective geometries in dimension two. In particular the well-known theorem classifying pairs of unimodular matrices up to conjugacy can be used to derive elliptic and hyperbolic trigonometry, and forms the starting point for the deformation theory of geometric structures on manifolds. Biographical Sketch: William Goldman grew up in Kansas City and attended Princeton University, where he began his research on geometric structures on low-dimensional manifolds. He received his doctorate from the University of California, Berkeley in 1980. After positions at the University of Colorado, M.I.T., the University of Maryland and M.S.R.I. he moved permanently to the University of Maryland in 1986, where he has been since. He has advised over 23 doctoral dissertations, and in 2000 he co-founded the Experimental Geometry Lab at the University of Maryland. He is currently Editor-In-Chief of Geometriae Dedicata and recently completed a term on the Council of the American Mathematical Society. At Maryland he served as Associate Chair for Graduate Studies and is currently the Principal Investigator of the Department's VIGRE grant. He held an Alfred P. Sloan Research Fellowship and was recently received a Distinguished Scholar Teacher award from the University of Maryland.